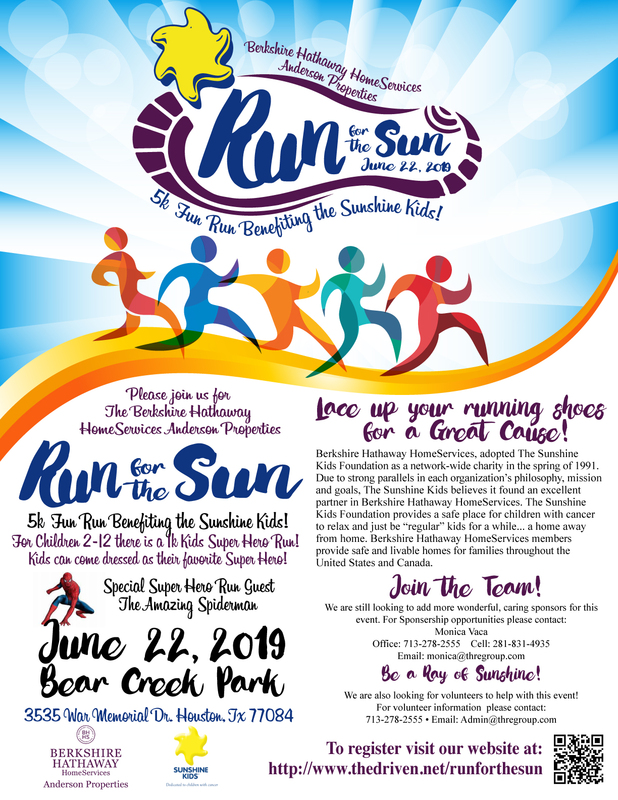 BERKSHIRE HATHAWAY HOMESERVICES ANDERSON PROPERTIES is a proud Sponsor and contributor to the Sunshine Kids. All funds raised in this 5K will be to benefit the Sunshine Kids. Medals will be given to top 3 finisher per age group and gender.